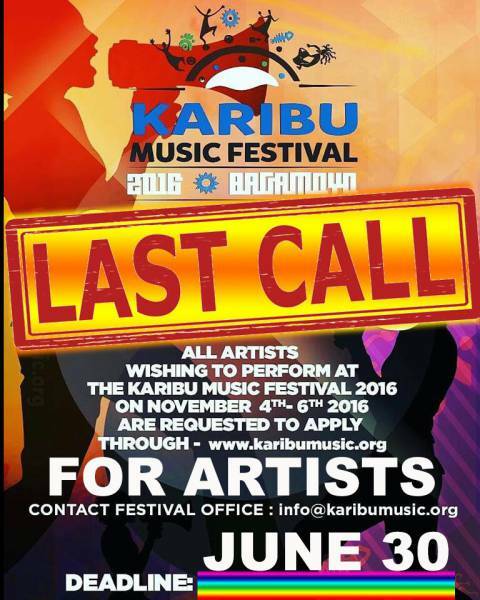 Karibu Cultural Promotions Organization in collaboration with Legendary Music Entertainment and Promotions Company Limited are organizing the 3rd edition of the "Karibu Music Festival", an annual Three (03) Days International cultural event aiming at African Culture Promotion to the world, as well as introducing other countries' culture to Africa, and building up friendship/collaboration opportunities among all participants. In the aspects of music, dance, paintings, theater, crafts, and many others, all artists who can share our passion and goal together, you are welcomed to participate in this event to present your great talents and promote yourself! The festival involves International artists from Africa, Europe, America, and Asia who will perform at the main stage and conduct their unique Workshop classes.